The system by this name consists of four parts: the stepped tunnel, the horizontal curved tunnel, the 45-foot (14- m) vertical shaft and the feeding tunnel. Scholars have long debated the date and function of this system. What is clear is that this system was used to access the city’s supply of water (the Gihon Spring) from inside the safety of the city walls. 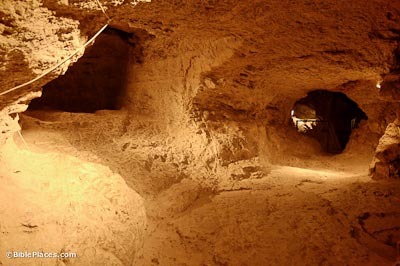 Excavations in the 1980s seem to indicate that the system was post-Davidic, but more recent work establishes its Middle Bronze date (c. 1800 BC). A new question has arisen over whether or not water was ever raised up the vertical shaft. 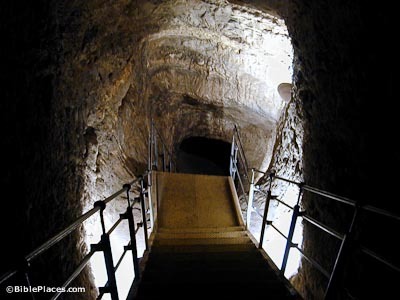 This 55-foot (14-m) vertical shaft led to a feeding tunnel which connected the base to the Gihon Spring. 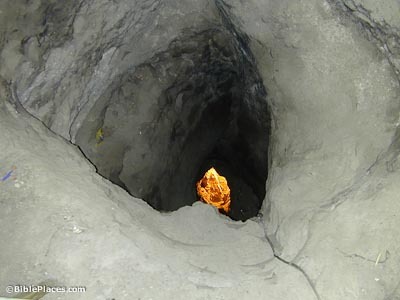 The theory for a long time was that the city’s inhabitants would drop their buckets down this shaft to retrieve water. Recent study suggests that was not the case. However, it does not follow that this shaft could not have been the one Joab ascended in conquering the city for David (2 Sam 5). 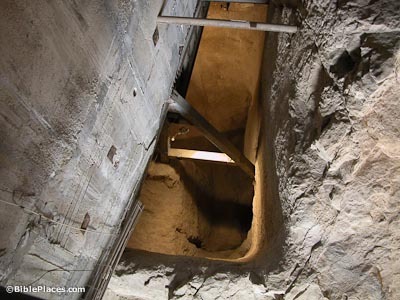 A newly excavated passageway leads from the vertical shaft to the Pool Tower. 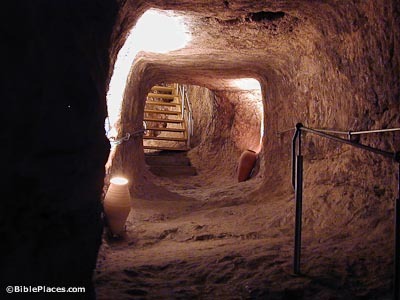 Current research indicates that Jerusalem’s inhabitants would have traveled through the tunnel system and continued this way to the Pool Tower (instead of dropping a bucket down the vertical shaft). 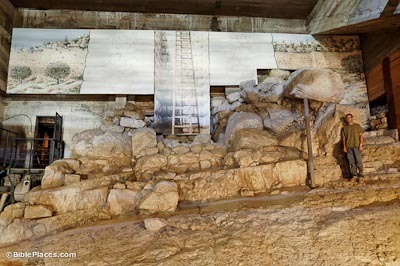 The Pool Tower was one of two (also the Spring Tower) built by the Canaanite people living in Jerusalem about 1800 BC. These two massive towers fortified the city’s water system and allowed the Jerusalemites to safely access fresh water in times of siege. The Pool Tower guarded a pool (see below) which received water from a feeder tunnel from the Gihon Spring. Citizens would apparently retrieve water from a platform connected to this tower. Only partially excavated because of a building structure in the way, this newly excavated pool was a storage basin for water brought from the nearby Gihon Spring. The Pool Tower, pool, and Spring Tower were all discovered during work in preparation for the construction of a visitor’s center. Today the visitor’s center is being constructed above the Pool Tower and pool.